The Act seeks to ensure that the appointment of an auditor is not in the hands of the directors. That is why it is vested in the general body of shareholders. The directors may appoint the first auditors and may also fill a casual vacancy. Lest the power to fill a casual vacancy. Lest the power to fill a causal vacancy be abused by forcing a vacancy to come into existence, it is enacted that a vacancy caused by resignation shall be filled by the shareholders where the directors fail to fill it. Shareholders have been given the opportunity to exercise their power of appointment by providing that the appointment would have to be ratified every year and that the shareholders may even replace the previous appointee with the previous approval of the Central Government. This section is a complete code and contains provisions for a variety of situations. The Board of Directors has to appoint the first auditor or auditors within 30 days from the date of registration of the company. The auditor so appointed shall hold office till the conclusion of the first annual general meeting. If the Board fails to appoint the first auditor, it should inform the members of the company, who shall within 90 days at an extraordinary general meeting appoint an auditor. Such auditor shall hold office till the conclusion of the first annual general meeting. His remuneration is fixed by the Board or the general meeting, remove the first auditor appointed by the Board and appoint in its place other auditor, of whose nomination a special notice has been given. The above requirements have been carried forward from the 1956 Act except the fact that under the 1956 Act, there was no time limit for appointment by the shareholders in the extraordinary general meeting. In case of appointment of first auditors, if the auditor is not appointed by the C & AG within the specified time period of 60 days, the Board of directors of the company may appoint the auditor within the next 30 days. Where Board of Directors fail to make such an appointment, the members shall appoint the auditor within next 60 days at an extraordinary general meeting. The auditor so appointed shall hold office till the first annual general meeting. The auditor of a company (other than a Government company) will be appointed for a fixed term of five years (the Act and Rules are silent on whether the appointment will be by special or ordinary resolution hence it may be presumed to be ordinary resolution unless articles provide otherwise) starting from the conclusion of the first annual general meeting of the company subject to ratification by shareholders at every AGM by way of passing of an ordinary resolution. This is unlike Companies Act, 1956, where the term of appointment of an auditor was from the conclusion of the next annual general meeting. The company has been vested with the responsibility to inform both, the auditor and the registrar within 15 days of the appointment, unlike the provisions of Companies Act, 1956 which required the auditor to make the necessary intimation to the Registrar. A company can appoint an individual or an audit firm as an auditor. 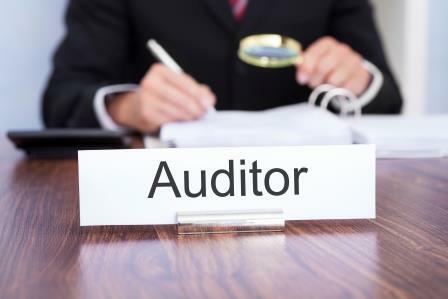 The term audit firm includes a limited liability partnership incorporated under the Limited Liability Partnership Act, 2008 whose majority partners are qualified for appointment as auditor. The sections introduces a new requirement for the auditor to give a written consent for the appointment and a certificate that he is duly qualified to be appointed as the auditor of the company. All appointments of auditors, including the filing of a casual vacancy, would have to be made after taking into account the recommendations of Audit Committee, if required to be constituted by the company as per the requirements of the Act. Thus, the audit committee has now been vested with greater role in the appointment of auditor. While in the case of listed companies, the role of Audit Committee under clause 49 of the Listing Agreement includes recommending appointment of auditor, the provisions of section 139 provide for specific matters to be considered for recommending an auditor and in case the Board disagrees with the recommendation, requires the Board to give the reasons for disagreement and record the same if the disagreement is no resolved, If no auditor is appointed or re-appointed at the annual general meeting, the existing auditor will continue. This is a significant departure from the position under the Companies Act, 1956 wherein the power to appoint auditor in such a situation was with the Central Government. The comptroller and Auditor-General of India appoints auditor of Government Companies. The section introduces the requirement of mandatory auditor rotation after the specified period. It also empowers shareholders to decide rotation of auditing partner and his team or that the audit is conducted by more than one auditor. There were no provisions for rotation of auditors under the Companies Act, 1956. The section does not mandate, but allows companies to provide that the auditing partner and his team be rotated at intervals as may be specified in the resolution or to appoint joint auditors. There were no provisions for rotation of audit partners under the Companies Act, 1956. In case of companies other than Government Companies, casual vacancy should be filled by the Board of Directors within 30 days. The auditor appointed in a casual vacancy shall hold office till the conclusion of the next annual general meeting. This is aligned with the Companies Act 1956 except that a time limit of 30 days has been imposed to ensure that the vacancy is filed within a reasonable time. In case of a casual vacancy arising because of ‘resignation’ of an auditor, the shareholders of the company are required to appoint an auditor within three months from the date of recommendation of the Board of Directors. The above requirements have been carried forward from the Companies Act, 1956 except the fact that the Companies Act, 1956 did not limit the period within which the causal vacancy in the office of the auditor was to be filled. In case of a Government Company or a Company owned or controlled by Government, the first auditor shall be appointed by the Comptroller and Auditor-General of India (C&AG) within 60 days from the date of incorporation and on failure to do so, members of company in general meeting will appoint within 60 days, who shall hold office till conclusion of first annual general meeting. For existing Government Companies, the C&AG will appoint the auditor within 180 days from the commencement of the financial year and the auditor so appointed would hold position till the conclusion of the AGM. Any casual vacancy has to be filed by the C & AG within 30 days and in case of failure to do so, the Board should appoint the auditor within next 30 days. The provisions in Companies Act, 1956 with regard to Government Companies were limited to providing that the auditor will be appointed by the C & AG. Companies Act 2013 provides detailed and specific provisions for appointment of auditors for such companies.